I found an answer today. I love it when I do that. I am often asked ” I am new to canning, what is the first thing I should can?” and my answer is usually “whatever you like to eat!” which usually leaves people grumbling and feeling that I don’t understand how challenging it can be to a new canner, and honestly, maybe I don’t. I grew up with a grandmother who had pickles in a crock and a Gleaner for a mother (which translates to thousands of pounds of produce canned per year). Canning is in my blood. Today however, I realized the perfect answer. Apricots. 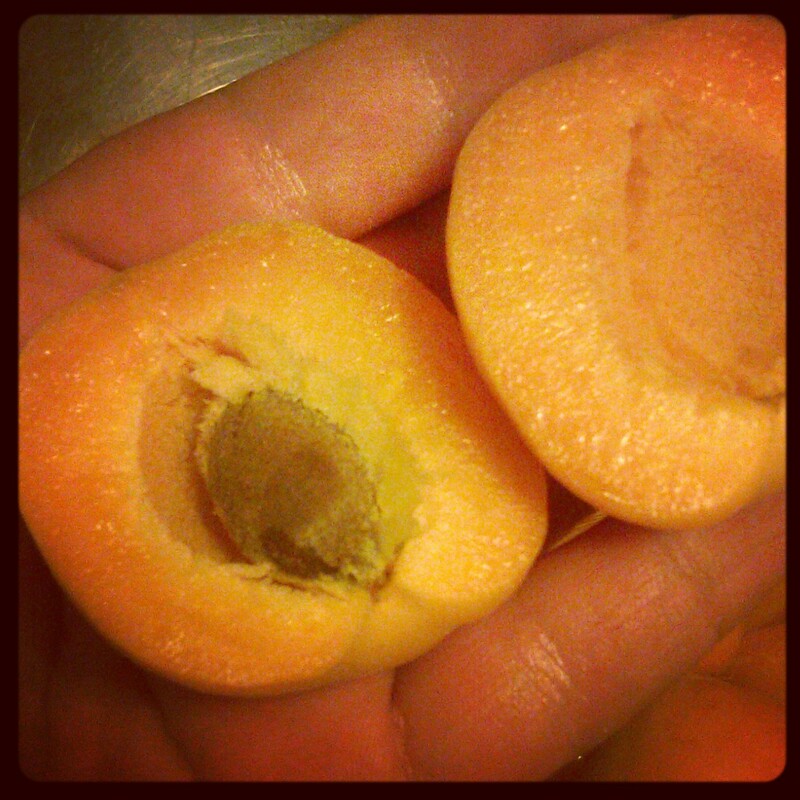 There truly is nothing easier to can then apricots and they are AMAZING! I can them in pints and half pints because a little can go a long way. Apricots get used to mix with yogurt, cottage cheese, in apricot upside down cake, in coffee cake and chopped for sauces. It isn’t something we typically eat a lot of on its own, so the smaller size works well for us. 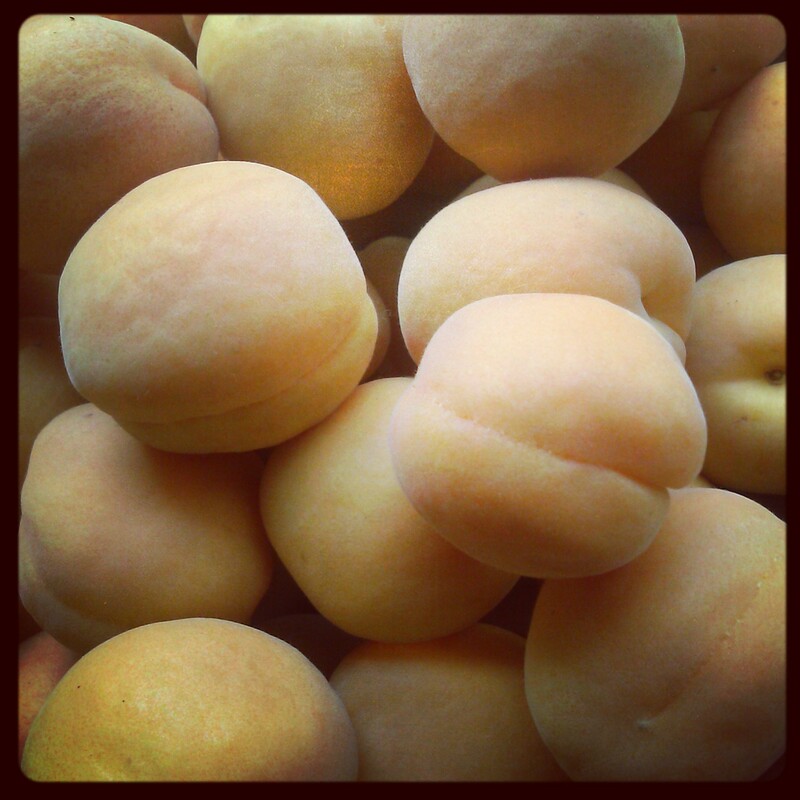 Apricots are the perfect first food to can because you don’t have to peel them! You don’t precook them and you can water bath them. Simple. Let me show you how! First, gather your apricots. If you have a local source, then fantastic. These can be spendy little things but look for a good sale and stock up while you can! Rinse your fruit, then simply cut in half along the indentation. The stone is loose and pops right out. Put your cut fruit in cool water with absorbic acid (fruit fresh) or lemon juice. Be careful not to let it soak too long, as these are delicate and can get mushy quickly. Pack your fruits any way you wish. I like putting mine cut side down and overlapping them. I set aside any bruised or mushy fruits and at the end I dice them. These are great to add to barbecue sauce later! Make your syrup. This could be a standard syrup of sugar and water, you could combine half honey and half water, you could use turbinado or sucanat however they would significantly change the flavor of the apricots or you could use apple or white grape juice. Whatever you decide, you want it simmer and hot while your slicing your fruit. I used a light syrup of 2 cups sugar to 5 cups water. 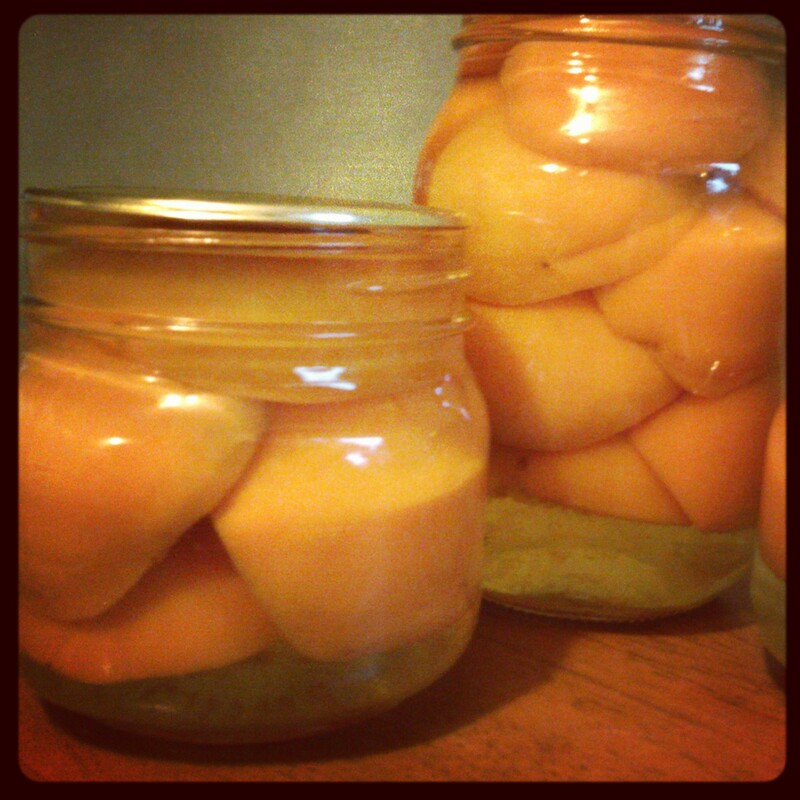 Once your fruit is packed in the jars, simply fill your jars with hot syrup, leaving 1/2 inch head space. Process in a boiling water bath for 25 minutes (pints) or 30 minutes (quarts). 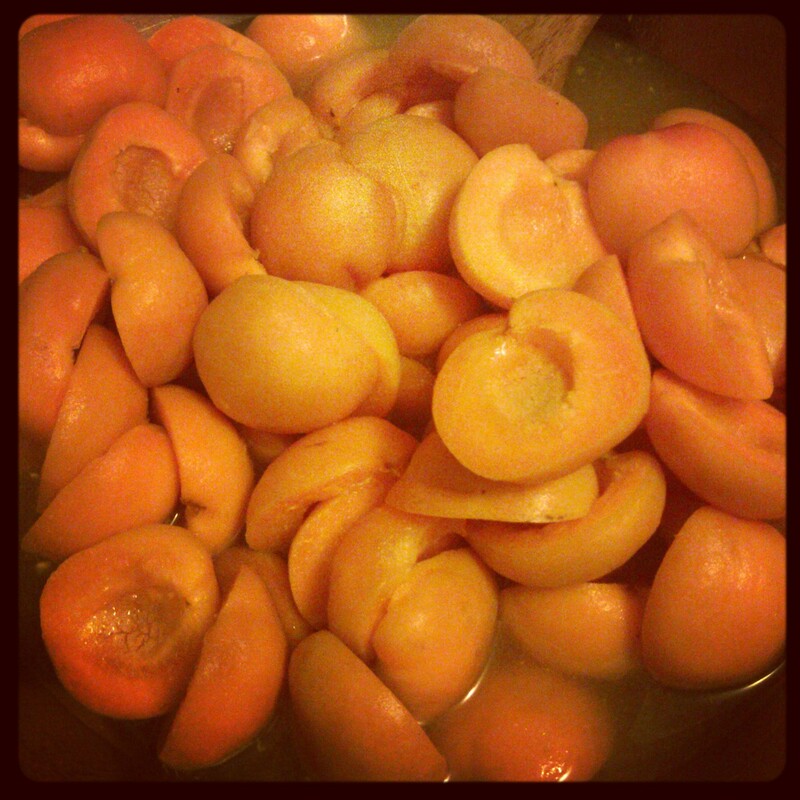 I processed 5 pounds of apricots using the above amount of syrup. I ended up with 2 pints and 12 half pints.